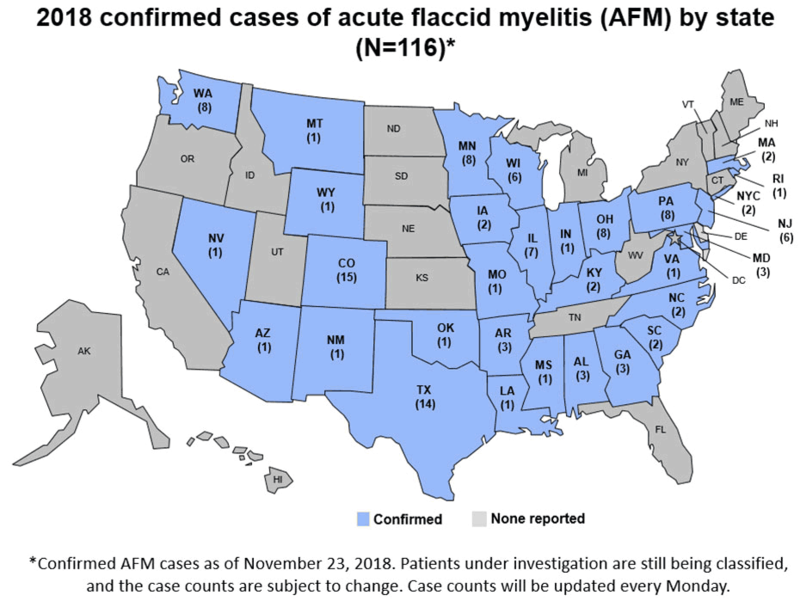 As of this date in 2018, CDC reports 116 confirmed cases of AFM in 31 states. These 116 confirmed cases are among the total of 286 reports that CDC is investigating. 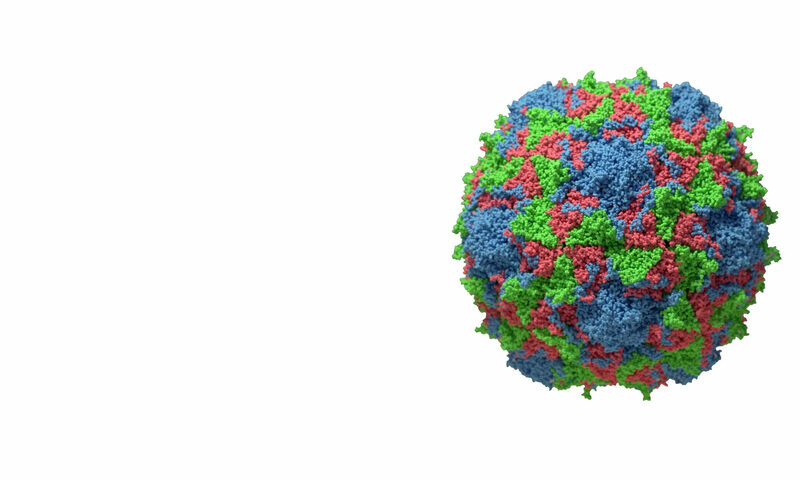 CDC has established an AFM task force to encourage collaborations between CDC and the scientific community so that we can better understand the cause of AFM, how to prevent it, and how to treat it. More information on the task force can be found at this link. The first meeting of the task force will be on 4 December in Atlanta, GA.
Our laboratory has joined the AFM Consortium to bring together clinicians and basic scientists working on AFM.